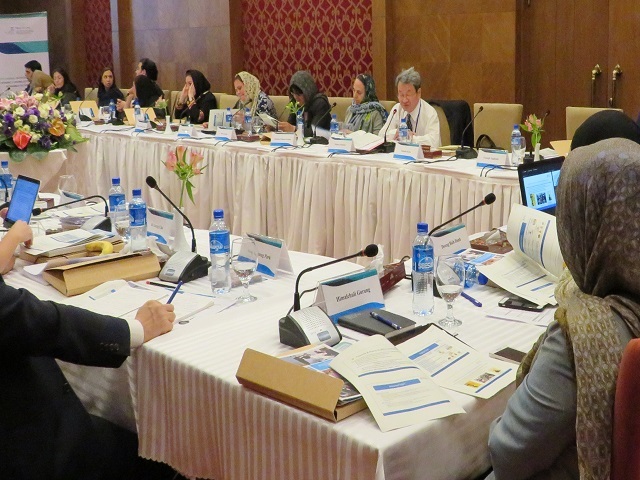 The Fifth Annual Coordination Meeting of the Category 2 Centres (C2C) Active in the Field of Intangible Cultural Heritage was held in Shiraz, Islamic Republic of Iran on 10, 11 Sep. Participated in the meeting Mr. Tim Curtis, Chief, Intangible Cultural Heritage Section and the other experts of UNESCO’s Headquarter and C2C. As C2C, the Centres of Bulgaria, China, Iran, Japan, Peru and Republic of Korea took part in the meeting. In this meeting, the possible measures to ensure the coherence of the activities of UNESCO and C2C were discussed. UNESCO and each C2C could share and strengthen the common understanding of the goals and direction which should be pursued. Also, each C2C shared the current challenges and future targets with all the participants. Representing IRCI, Mr. Wataru IWAMOTO, Director-General, presented “Promoting Research for ICH Safeguarding” and “Research on ICH Safeguarding and Disaster Risk Management” which are the focused activities of FY 2017, and a basic concept of activity plan for FY 2018. Please refer to the following link for further information of the meeting and the ppt files of the presentations made by UNESCO and C2C.